I feel very productive today! I had class this morning and it's been a great week so far and its close to finals. Most people cringe when they hear finals. But I am looking forward to the semester being over and getting a break for the holidays before 2011 begins. :) I have already enrolled for my classes for next semester and getting all set to start Cosmetology at the Rudy and Kelly Paul Mitchell School. It's about to be real hectic! But I love to stay busy! 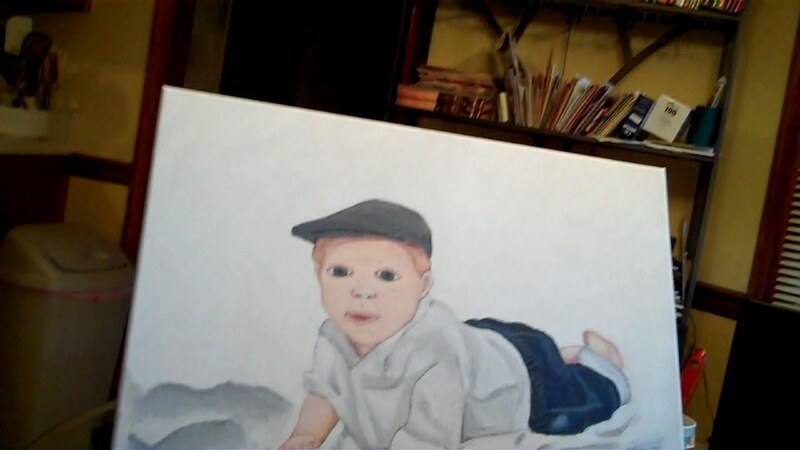 This was my first attempt at painting an actual person. I know as an artist, I should be strong in all areas..but painting faces is just not my specialty. I am working on editing this video of this project. I want to start making videos on all the lil art projects I work on, so this is just the start of many to come! After I finished this portrait, I started painting a friend of my brother's Guitar. I have been procrasting a bit on this one too. I Finally got my airbrush machine and have practiced using it, but I do not have the right paint to atcually use it. I found out that I either need to use airbrush paint or use paint thinner with acrylic paints. So, I will have to wait until I have enough to buy that specific paint. So, I taped off the guitar on the places I do not want to get paint on. The guitar was already stripped and sanded so I prepper the surface with GESSO (I got at an art supply store) and let dry after 20 minutes. 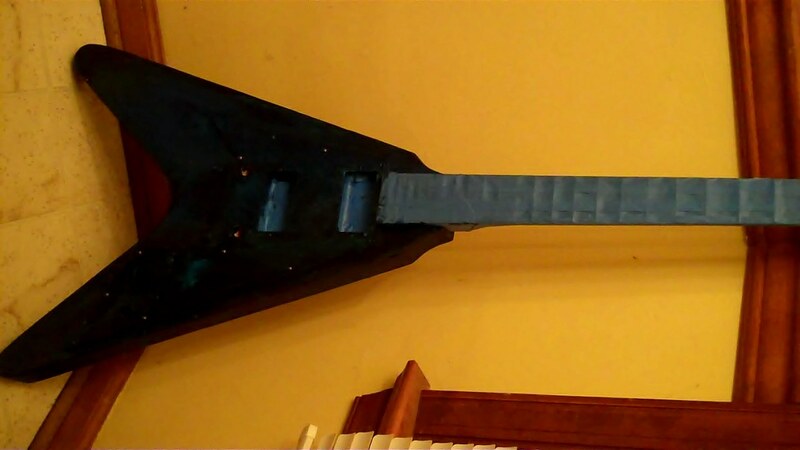 For this guitar, I am painting a galaxy/star theme to it, so the first coat of paint is blue mixed with black. I have only applied the first coat. The lighting is horrible.....Not that I am dissin on my mom's kitchen color...but yellow is just not my thing. When I was in my Color Theory class at the Art Institute, I learned that yellow walls make babies cry..its just not a soothing color to me and it doesnt go with my skin tone...at least I dont think so. HA HA HA! Oh, and I almost forgot! The whole purpose of my blog for today is that I wanted to blog about a contest I found where you can submit any type of artwork for a chance for it to be on this clothing line. (click the link in the title for the page) Last day to enter is Nov. 30 and you must email a JPEG of art to submissions@allpublicclothing.com check it out for more details. On Dec 2nd, the community will vote on the best designs and will win $500! So, to everyone who reads this, thank you for reading and I hope you have a great day!